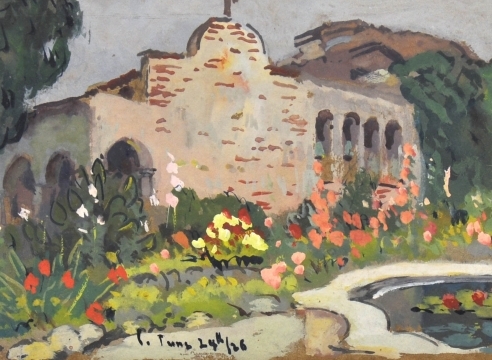 "Mission San Juan Capistrano", June 24, 1926. 5 x 7 inches | Gouache on paper. 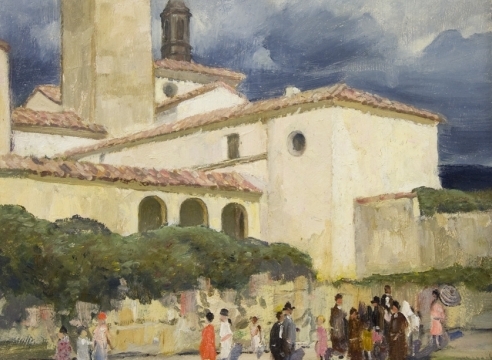 "Puertas del Santuario: Paintings of the Mission San Juan Capistrano by Members of the California Art Club" March 9 - May 19, 1996, Carnegie Art Museum.